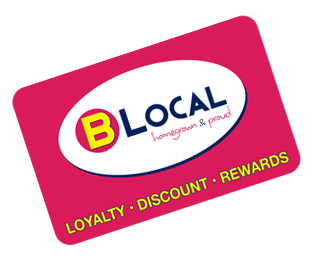 B Local was founded by Seamus O Sullivan in Tralee Co Kerry Ireland. After 24 years in the butcher business he found it was getting increasingly challenging to compete with the large multiples and chains with their massive marketing budgets. His solution is B Local. Now it is available to you also. Independent local businesses are the life blood of every economy, and need to remain strong and profitable. They are the single largest group of employers in every economy and provide local identity in an increasingly generic society. B Local is creating awareness of the many reasons why consumers should support local enterprises. One important reason is that money spent with local businesses stays in the local economy for the good of the local community. The time is now for local businesses to organise together. Local entrepreneurs, both established and start ups, deserve to compete on an level playing field with a fighting chance. B Local helps them to work together in an organised way, making sure that local businesses can survive and thrive in a vibrant new environment.